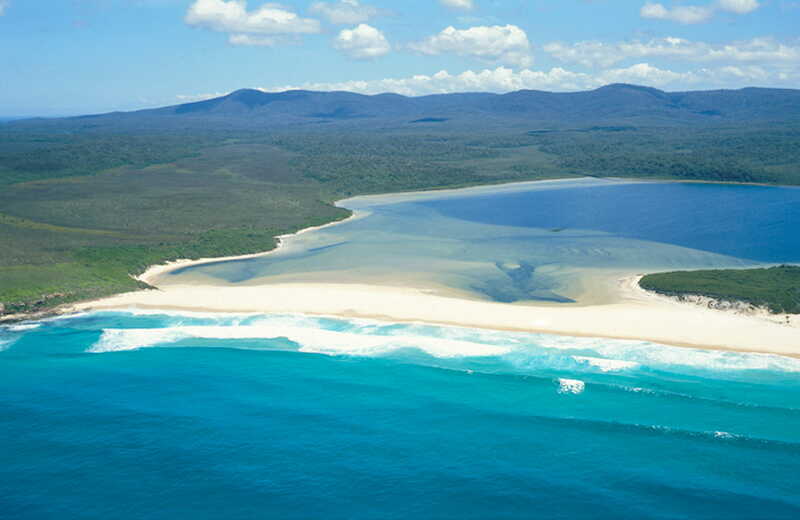 Nadgee wilderness walk is a spectacular 55km walk from Merrica River to Mallacoota, with coastal views. It's great for birdwatching, whale watching and camping. 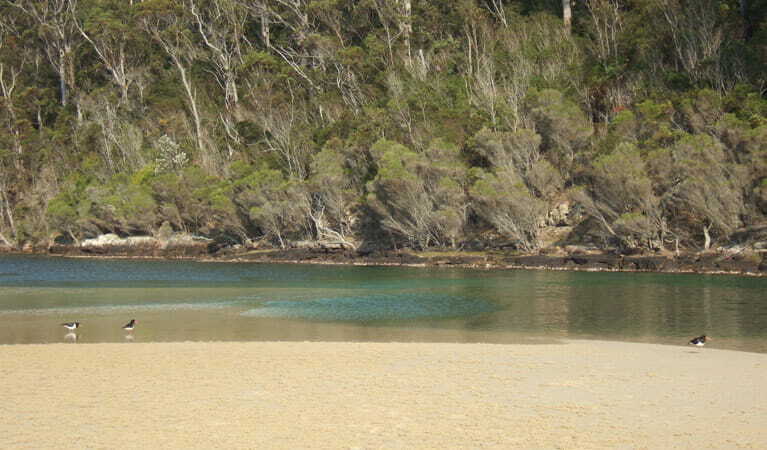 Camping fees apply, please contact NPWS Merimbula on (02) 6495 5000 for more information. The maximum number of hikers taking the Nadgee wilderness walk is 30 at a time. Maximum group size is eight. Please be aware that tracks can be indistinct, difficult to follow, or unmarked in certain places. in heavy rain, Merrica River may flood, making it impassable until the river goes down. If you’re looking for the ultimate coastal hike, Nadgee wilderness walk could possibly be the one. 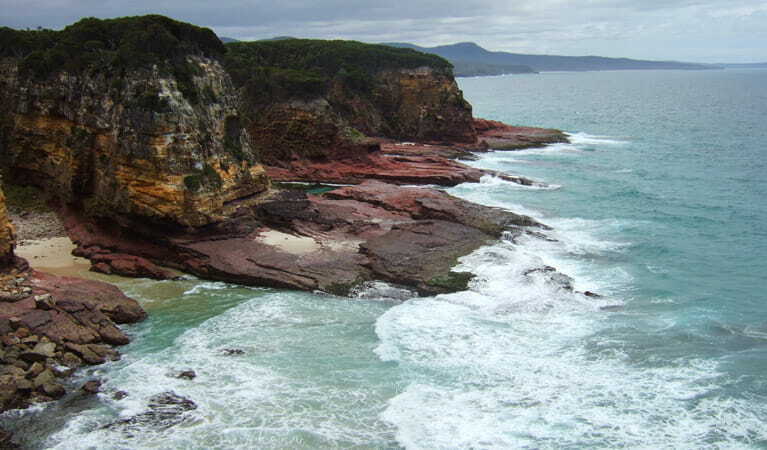 Not for the faint-hearted, it’s a four-day 55km hike along untouched pieces of southern NSW coastline from Merrica River to Mallacoota, and well worth experiencing. In a truly isolated and spectacular environment, you’ll discover remote beaches, rugged coastline, tranquil lagoons and shifting sand dunes. As you walk, you’ll easily become a birdwatcher - hundreds of seabirds can be seen along the way, such as short-tailed shearwaters, sooty oystercatchers, hooded plovers and gannets. Eastern water dragons are often seen sunning themselves on warm stones by creeks. And while pods of dolphins often mingle along the beaches, whales can be seen making their annual migration between September and November. You’ll need to be an experienced backpack camper to explore the entirety of this walk. Little Creek Estuary, Bunyip Hole and Nadgee River campgrounds, to name a few, are great places to settle down for the evening. You’ll often hear the night-time calls of powerful and sooty owls. With so many natural wonders to see on Nadgee wilderness walk, this multi-day hike along the south coast of NSW is the ideal antidote to modern life.